When Homo sapiens first appeared on Earth around 200,000 years ago, there were little physical differences amongst the clans that lived in the African subcontinent. But as humans began to migrate to different parts of the world, such as Europe, Asia, Australia and the Americas, they encountered a variety of unique climatic conditions and evolved new behavioral and physical adaptations to survive in them. Over the past 40,000 years, as the rate of evolution accelerated, the environment has had an enormous impact on the development of genetically-based characteristics within a population. DNA studies have proven that genetic traits adapt to new eco-systems, which has led to the immense diversity that we see today in people’s eyes and face color, body shape and facial features. This diversity that’s resulted from many years of human evolution is not limited to physical appearances but also includes the development of beliefs, practices, food, languages and traditions. We refer to the summation of a specific collective worldview and lifestyle as ‘culture’. It’s the common cultural experiences and perspectives that bind a community together and solidifies their group identity. Our cultural affiliation is not only determined by our national origin but also by our race, gender, economic status, hobbies, profession and spiritual beliefs. With the rapid growth of modern technology and transportation over the past century or so, cultural identities have become increasingly complex, varied and multilayered. Being able to tune into those wide-ranging nuances is now an essential skill. This skill, known as “cross-cultural competence”, is defined as the ability to understand and engage with people from different cultures effectively. At several points in your life, you’ll find yourself needing to establish cordial relationships with people you’re unfamiliar with within the professional and personal realm. Having strong cross-cultural competence will bolster your ability to create win-win situations. Efforts towards bridging existing cultural divides is now more crucial than ever, given the xenophobic and fear-based worldview being promoted by certain political parties. We have to make a conscious decision to replace suspicion and hate with compassion and curiosity while engaging with others, so that we can gain a balanced perspective and avoid being negatively influenced by the dominant voices around us. Amicable, one-to-one connections between community members lay the foundation for change and progress for humankind. It’s only through building strong and diverse communities will you be able to achieve mutual goals, whether you’re trying to devise peaceful government policies or convince a neighbor to join your charity or inspire a coworker to assist you in making your joint project a success. As a Third Culture Kid (TCK), learning to thrive in a melting pot of cultures is something that I picked up quickly. After many years of socializing with different kinds of people, it comes quite naturally to me. What I’ve learned is that to really understand another individual’s reality of the world, we need the right mindset and be willing to listen to others with a non-judgmental attitude. 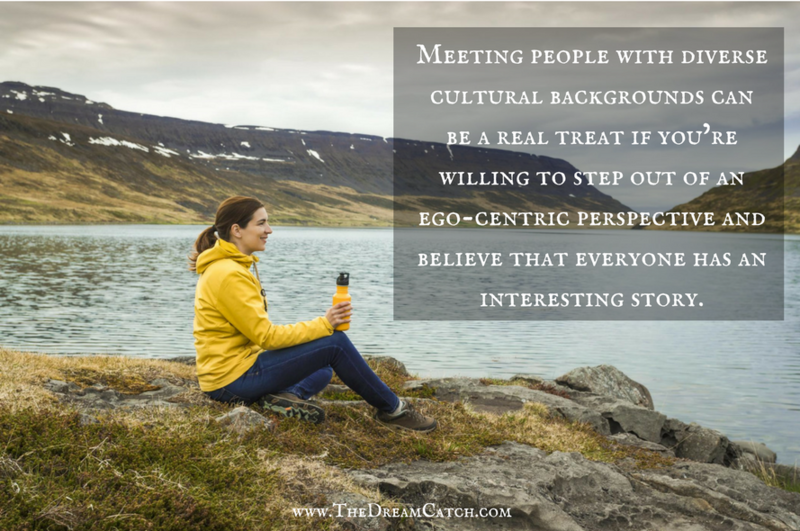 Meeting people with diverse backgrounds can be a real treat if you’re willing to step out of an ego-centric perspective and accept that everyone has an interesting story; and a big part of that story comes from their cultural origins. Your genuine interest and curiosity will be palpable by others, which will make it easier for them to open up to you and forge a connection based on respect, trust and understanding. 1. Display openness and respect: This may seem like Social Intelligence 101 but it’s important, so it’s worth mentioning: if you want people to open up to you, you have to exude warmth and a real interest in listening to what they have to say. Display an open body language, relaxed facial expression and smile whenever appropriate – in other words, be your seeking, inquisitive, real and respectful self. Ask thoughtful questions so that you can get a fuller picture of what their life is like, and get deeper insight into the richness of their experiences. Listening to others in this way shows that you respect their humanity and that you’re not someone who succumbs to stereotypes that pigeonhole cultural groups or even sometimes discriminates against them. Almost everyone in the world wants to be listened to and understood, and if you come across as being sincere in your approach, others will be pleasantly surprised in your interest and glad to invite you into their world and share their stories. 2. Do your homework: During times when you’re expecting to meet people from other cultures, such as before a trip, relocating to a new country or an event (social or business), it would serve you well to do some research prior to your encounter. There are plenty of resources providing detailed information on customs, traditions, lifestyles, histories and social behavior, such as guidebooks, videos, blogs and articles. This can give you the background information needed to ask well-thought-out questions. You don’t have to be an expert but you want to know just enough to appear well-informed and avoid looking ignorant. It might also be advantageous to learn a few key words of the local lingo, as it will make you appear less ‘foreign’ and build rapport easily. Another reason to do a background study is that you want to be aware of any unwritten rules when communicating with others so that you don’t commit any social faux pas. Here’s an interesting list of the most common ones that people commit. 3. Be aware about culture-specific personality traits: When communicating with people from other cultures, be prepared to encounter behaviors and mannerisms that might seem strange to you. 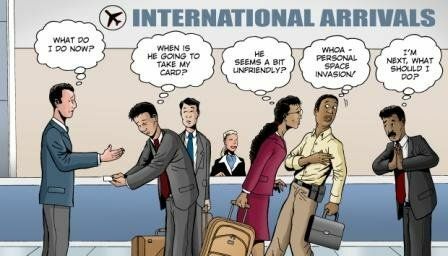 It might make you feel uncomfortable or even offended if you aren’t aware that some of them are culture specific. For instance, I recently had a consultation with a well-respected dermatologist from Germany. After my appointment, I casually commented to the receptionist about his very direct and almost blunt way of speaking. She smiled and said matter-of-factly that it’s because he’s German and that some clients find him to be a bit harsh and brusque. I wasn’t offended by his way of speaking because I’ve experienced this strong communication style during my visit to Germany. Now I’m not suggesting that we should try understanding others through stereotypes. There’s a possibility of being misinformed by the exaggerated cultural stereotypes propagated on TV, movies and social views at large. We need to avoid generalizing based on these impressions and leave the door open for new information to come in about each person that we meet, no matter what their background. We need to balance openness with whatever we know about the general cultural values and communication styles. 4. Find out what you have in common with them: At the end of the day, all the differences that we have with others are based on superficial criteria. We all share the same human experience and we’re more similar than we think we are. All of us have similar hopes, fears and desires, and it’s exactly at this human level that we can forge a deep connection with others. Bonding with others based on your common experiences will make any relationship real, grounded in trust and kinship. For example, all mothers, no matter where they’re from, face similar experiences when caring for their young ones. Entrepreneurs from all corners of the globe can relate to each other when speaking about common obstacles they face when managing their businesses. Even subtle commonalities can be discovered by asking open-ended questions that will get people to open up. 5. 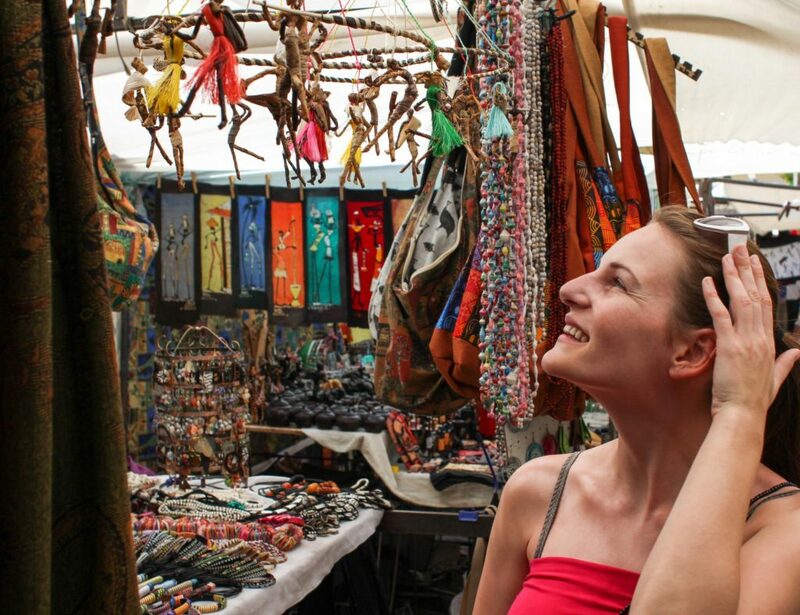 Become an ambassador for your own culture: While getting to know others during your cultural voyages, you also want to be a good steward for your own culture. 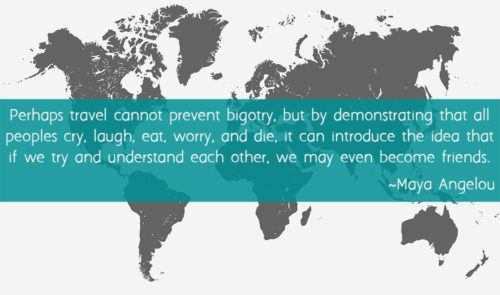 In fact, becoming aware of your cultural makeup is essential if you are to be tolerant towards others. If you haven’t been able to understand how you’ve been affected, it will be a challenge to understand how it affects anyone else. You need a reference point to understand other cultural contexts. Once you’re comfortable in your own cultural identity, you’ll be a good ambassador for your values and an advocate for what you stand for. Be willing to give others a glimpse into your unique world and explain how your experiences shaped it. The most important thing to keep in mind when connecting with others is that we do it with heart. With an open heart, we magnify our power to galvanize change in our communities and countries, by building alliances based on compassion and trust. Question for you: Do you like to connect with people from other cultures? What’s the most fun part about these interactions for you? Personally, I have never found any trouble at all connecting with people from other cultures, religions, races, or ethnic groups. I have always loved and been attracted to diversity- even as a child. I wish more people shared this love because it really is an amazing thing to experience! Great to know Georgia. I guess that all we can do is set an example and be good models for everyone! 🙂 Thanks for sharing your thoughts. Beautifully written article. I couldn’t agree more. Sadly, I don’t think many people possess this skill or capacity or even willingness. But perhaps the number is rising with the advent of digital nomads and location independent folk. We can only hope for a more united future. Thank you Sophie. Yes, I agree with you. The best that we can do is to create more awareness and hope that it will speak to peoples hearts.